The world sounds the same—the vibrations and noise of a big city—but it is but the signs of great change to come that people are not seeing because they are not responding to Knowledge, the deeper intelligence that the Creator of all life has placed within each person to guide them, to protect them and to lead them to their greater accomplishments in life. Millions of people will have to flee the arid regions of the world. Coastal regions will be flooded and impacted by tremendously powerful storms and violent weather. People will have to move due to economic reasons—failure of local economies and in some cases national economies. Where will they all go, these people, who did not see and did not recognize? And who will accept them into their nation? Who will accept the floods of thousands and millions of people who must now leave their homelands or who must relocate within their own nation? The social disruption will be immense. The political tension will be immense. The call for compassion and the ending of grievances will be immense. This will be a humanitarian tragedy and a humanitarian need on a scale never seen before. The world cannot afford to descend into chaos, or humanity will not have a future. Really, what is at stake here is rescuing human civilization. Human civilization, which seems so dominant, so powerful and so well established today, tomorrow and the days to come will seem ever more fragile and vulnerable. Prepare for The Great Waves of Change and register for the Free School where over 1000 students around the are preparing for The New World. 3 Responses to "A great humanitarian need"
This is so true. In fact, the predictions from more than one source are that one half to three quarters of the world population will die prematurely from conditions during the remainder of this century. Actually, we are experiencing a great die-off of most animal and human life as part of the transfer of the whole planet and solar system over to total alien control. The whole process will take thousands of years because the billions of entities not of alien orientation must be sent to other solar systems. This planet began under alien (or non-elohimic, according to modern religions) control and will end that way. Everyone is advised to take their live seriously and make responsible choices. Here in Syria, where I live, we are already experiencing the truth of the new Messenger’s revelations. We are experiencing the Great Waves of Change so vividly, and these waves will soon spread everywhere. A number of countries are secretly competing for the resources in Syria, and this competition is an indication of the fear, insecurity and the desperation to grab the remaining resources of Earth even if the price is a destructive war. All this competition is hidden under the mask of fighting for religious or political reasons. The secrets hidden in Damascus are known to God, and only a new fresh revelation would have been able to unravel the mystery and uncover the truth. The Syrian dilemma is a lesson for the whole world to learn from; it is a living example of what humanity is moving towards. The whole of humanity is just one large Body; if one organ in this body is sick, the sickness will infect the whole body. Humanity is fortunate to have the revelations of Prophet Marshall Vian Summers, and those who are drawn to his messages are blessed indeed. For me, it was by God’s Grace that I found him in the middle of the surging waves of Damascus . Thanks for sharing your experiences of living in such a changing country, truly on the front lines of the Great Waves of Change. 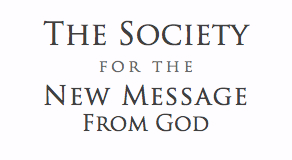 Are you aware of the revelations that speak directly of “The New World”? It is here: http://www.newmessage.org/new-world and it talks about the images you describe above: humanity as one body that must unite to survive.